Joseph Grenny is a four-time New York Times bestselling author, dynamic keynote speaker, and leading social scientist for business performance. For thirty years, Joseph has delivered engaging keynotes at major conferences including the HSM World Business Forum at Radio City MusicHall. Joseph’s work has been translated into 28 languages, is available in 36 countries, and has generated results for 300 of the Fortune 500. 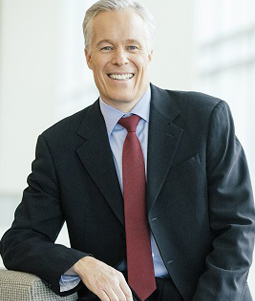 Joseph has shared the stage with General Colin Powell, Jack Welch, Jim Collins, Daniel Pink, Patrick Lencioni, and BrenéBrown at some of the world’s premier leadership conferences and organizations including: HSM World Business Forum, Willow Creek Global Leadership Summit, American Society of Training and Development, American Bankers Association. Joseph is the coauthor of four immediate New York Times bestsellers with more than three million copies in print:Crucial Conversations, Influencer, Crucial Accountability, and Change Anything. He has contributed regularly to BusinessWeek and Forbes; appeared on The Today Show, CNN, Bloomberg, and Fox Business News; and been cited in the Wall Street Journal, New York Times, USA Today, Los Angeles Times, and Washington Post. For the past thirty years, Joseph has conducted social science research with the goal to help leaders and organizations achieve new levels of performance. Specifically, he has focused on human behavior—the underlying written and unwritten rules that shape what employees do every day. A protégé of Albert Bandura, the world’s most influential and greatest living psychologist, Joseph’s internationally published research led to the development of his four books as well as four award-winning training solutions of the same titles, which have helped more than one million people and 300 of the Fortune 500 companies in 36 countries change human behavior. Change efforts fail when leaders narrowly look for a single cause behind their persistent problems and then try to implement quick-fix solutions.On the other hand, influencers succeed because they understand that most problems are fed not by a single cause, but by a conspiracy of causes. They merge multiple sources of influence into a strategy that can overpower even the most persistent and resistant problems. Learn a step-by-step strategy for exponentianly increasing your power to change your greatest and most persistent challenges. Similar to our modern gadgets, organizations have operating systems—cultural operating systems. Both electronic and cultural operating systems (COS) provide a set of rules that guide behavior. But while electronic intelligence is processed using written coded rules, a COS is also driven by unwritten rules. For example, executives may write cultural mandates that direct employees to take initiative, speak candidly, and act as a team. Yet when you watch what employees actually do, you realize the unwritten rules are avoid risk, defer to the boss, and stay in your silo. So what makes a powerful COS? This engaging presentation will use case study examples to identify the four key skills of a high performance COS. Our research shows organizations need these skills to enable world-class execution. When these crucial skills are present, things run smoothly and improve routinely. When these crucial skills are absent, the system bogs down and gets mired in mediocrity—or worse. Imagine your colleague misses deadlines despite your repeated crucial conversations with him about the negative impact of his behavior? After each conversation, he commits to change. He has good intentions. And yet, day in and day out, he fails to deliver on time. So what’s getting in the way? How do you hold him accountable in a manner that produces better results and improves your relationship? Top performers are gifted at holding others accountable. They know how to diagnose the underlying causes behind broken promises, violated expectations, and bad behavior. Make It Motivating. Motivate others without resorting to threats or power and instead, search for and explain natural consequences of noncompliance. Make It Easy. Involve others in coming up with a solution to their ability barriers. Stay Focused and Flexible. Skillfully attend to the problem of choice rather than getting sidetracked. Influencer draws on the best practices of many of the world’s leading change agents and on five decades of social-science research to create a powerful model for changing behavior. You’ll follow the experiences of influence masters who have succeeded in solving some of the world’s most profound problems. Examples ranging from major healthcare reform to reversals of destructive social behaviors to unprecedented corporate turnarounds will illustrate how a proven set of skills makes change not only achievable but sustainable. Every year, 195,000 people die in U.S. hospitals because of medical mistakes. Often, well-intentioned professionals in healthcare organizations choose not to speak up when they’re concerned with the behavior, decisions, or actions of a colleague. The study suggests that creating a culture where healthcare workers speak up before problems occur is a vital part of saving lives. Learn to step up to these seven crucial conversations and drastically transform your healthcare organization. "Joseph Grenny's engaging presentation captivated the audience, exceeded expectations and fit perfectly with the mission of the Better Business Bureau."